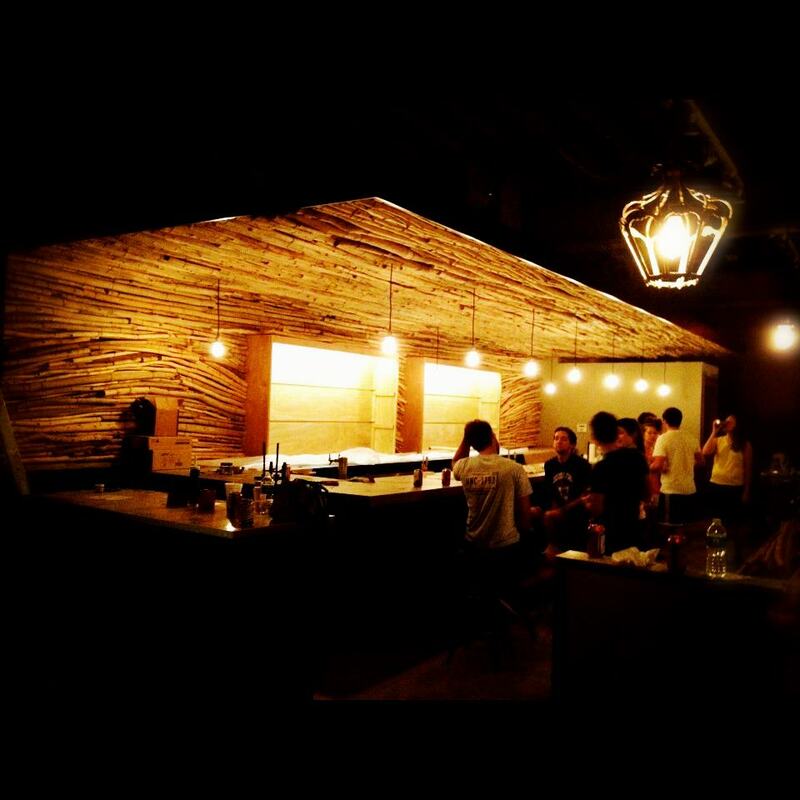 Owner Vansana “Van” Nolintha plans to open Bida Manda to the public on Wednesday, September 5. Not only is Bida Manda the Sanskrit ceremonial term for father and mother, Van explained to me that the menu is inspired by his parents’ recipes. Bida Manda is located on Blount St. and will be downtown Raleigh’s first Laotian restaurant and bar. Laotian cuisine is distinct from other Southeast Asian cultures due to its influence from Thai, Chinese, Vietnamese and French cuisines. 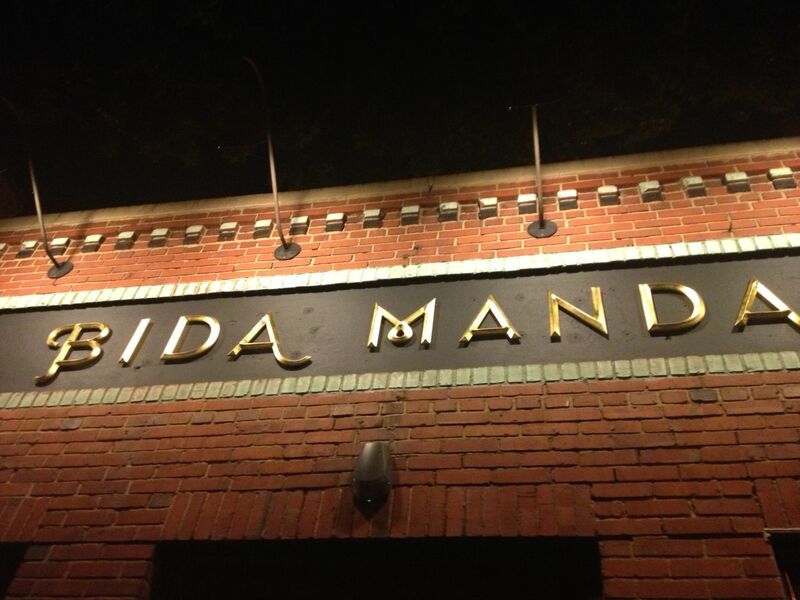 Adam and I went to the soft opening of Bida Manda to try a variety of authentic Laotian dishes. I enjoyed a glass of white wine at Bida Manda&apos;s beautiful bar as I waited for Adam to arrive. Three tons of cherry, maple and oak branches were delivered to the restaurant from the mountains of North Carolina. The branches were salvaged from old barns and churches, and were hand selected, cut, treated and tied by more than 50 of Van&apos;s closest friends and family members. This project was truly a "labor of love," totaling 750 hours of hard work. Not only is the bar gorgeous, the drink menu at Bida Manda is absolutely phenomenal and different from other bars in Raleigh. For instance, you can try the witbier flip made with unique ingredients like cognac, a whole egg and Big Boss Blanco Diablo. I especially loved the oak city sour made with chardonnay, fresh lemon juice, simple syrup, egg white, and house-made oak bitters. Adam and I tried the fresh summer rolls for our first appetizer. These Vietnamese-influenced rolls included shrimp, vegetables and herbs, which are then wrapped in rice paper. The peanut sauce for dipping added a sweet element to the dish and I enjoyed the fresh chopped peanuts sprinkled on top of the sauce. 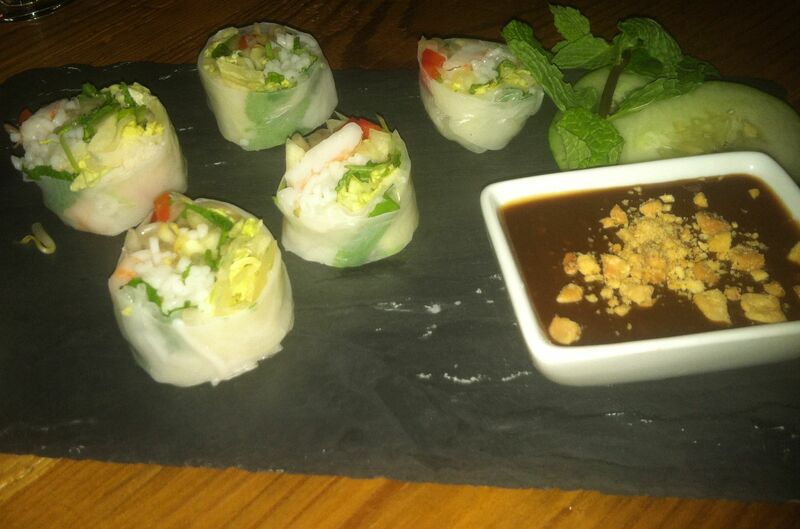 If you are in the mood for a light and flavorful appetizer definitely order the fresh summer rolls. 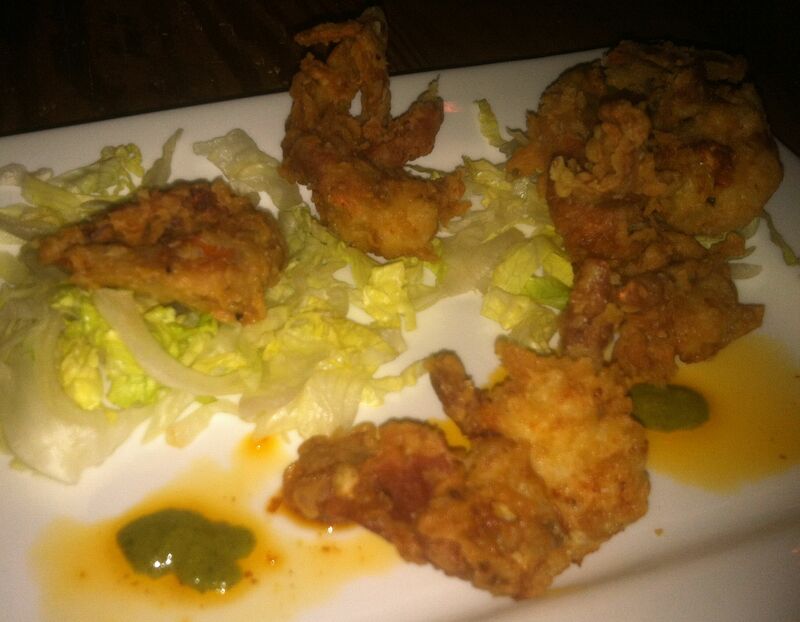 For our second appetizer we ordered the soft shell crabs with cilantro lime pesto. The soft shell crabs were fried to perfection and I loved the crunchy texture. Adam and I raved about the cilantro lime pesto, a unique addition to the saltiness of the crab. We almost got into a fight over who could have the last piece of soft shell crab! Van recommended for us to try the beef larb, a traditional Laotian dish served at ceremonies like weddings and birthdays. 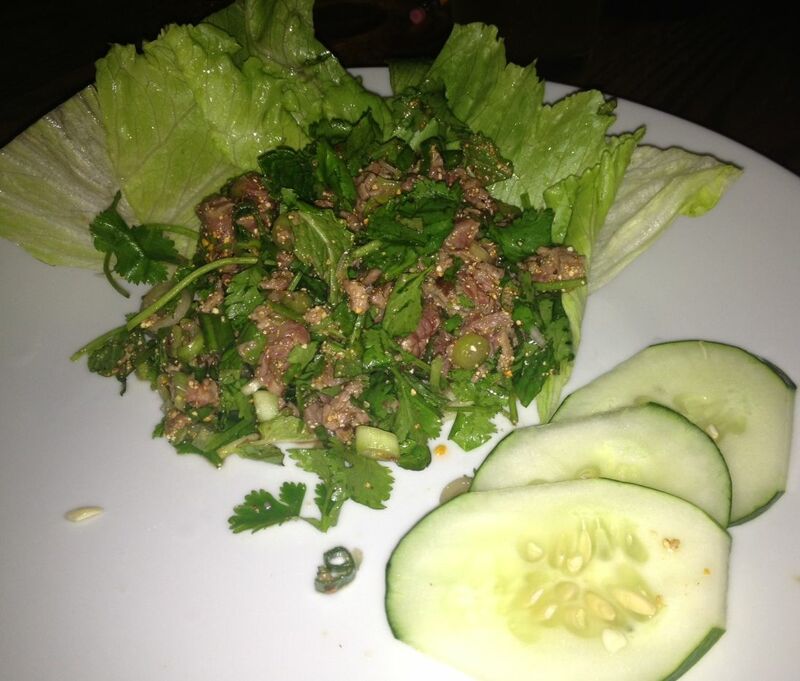 The beef larb is a mixture of marinated beef, herbs and spicy lime sauce. If you enjoy spicy dishes, you&apos;ll definitely love this entree. This entree is also fun to eat because you get to use your hands; no utensils required! 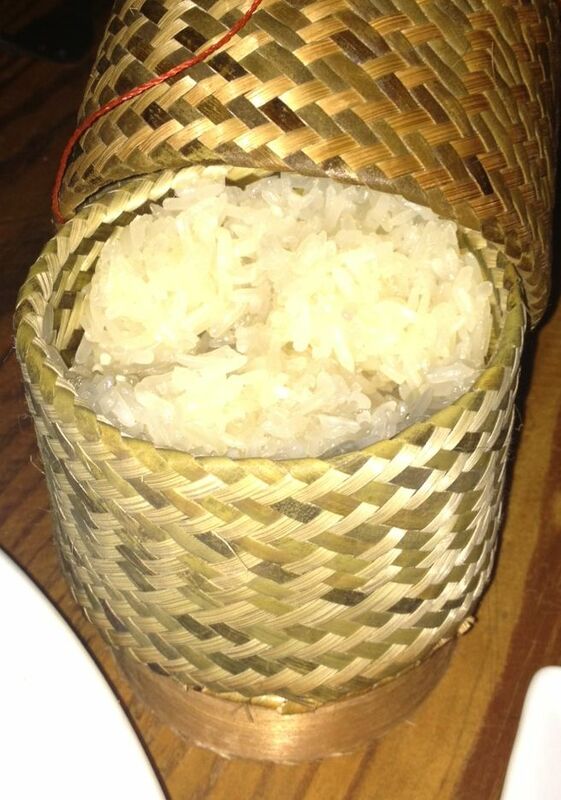 Larb is always served with sticky rice, which came out to our table in a small bamboo basket. Van explained to us that Laotians eat more sticky rice than anyone in the world, and to eat the dish you first take a pinch of the sticky rice and then a pinch of the beef larb. The beef larb entree was a flavor explosion; savoriness from the beef, freshness from the cilantro and mint, and tanginess from the lime sauce. 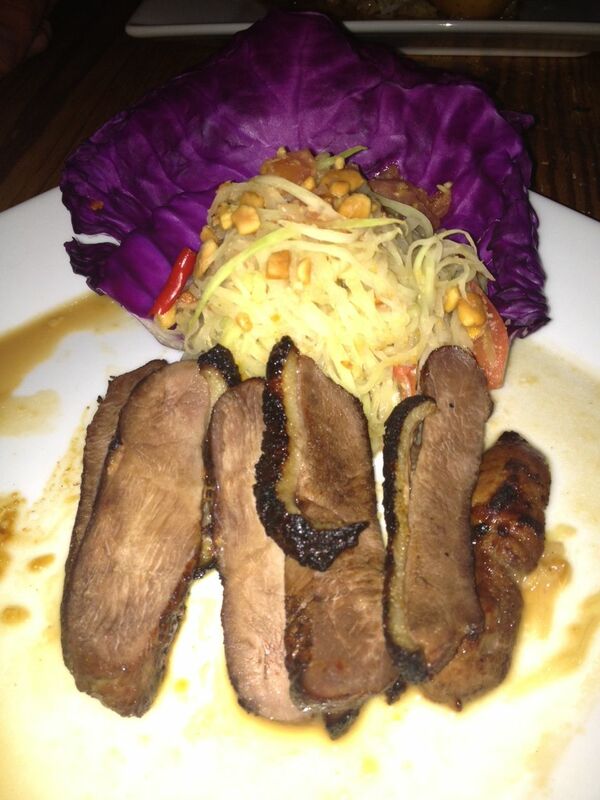 We also tried the green papaya salad with grilled duck breast. The entree was plated nicely and brightly colored. The salad is made with shredded green papaya, tomatoes, peanuts and a spicy lime sauce. I enjoyed the sour lime and hot chili flavors of the dish. The savory grilled duck breast complimented the salad and helped to offset the spice. You can ask your server to alter the spice level but the traditional dish is quite spicy. Perhaps my favorite dish of all was the caramelized ginger pork ribs. Van explained that in Laos the pork ribs are the American equivalent to chicken noodle soup, a comforting food often served when you are sick. The meat from the caramelized ginger pork ribs effortlessly fell off the bone. 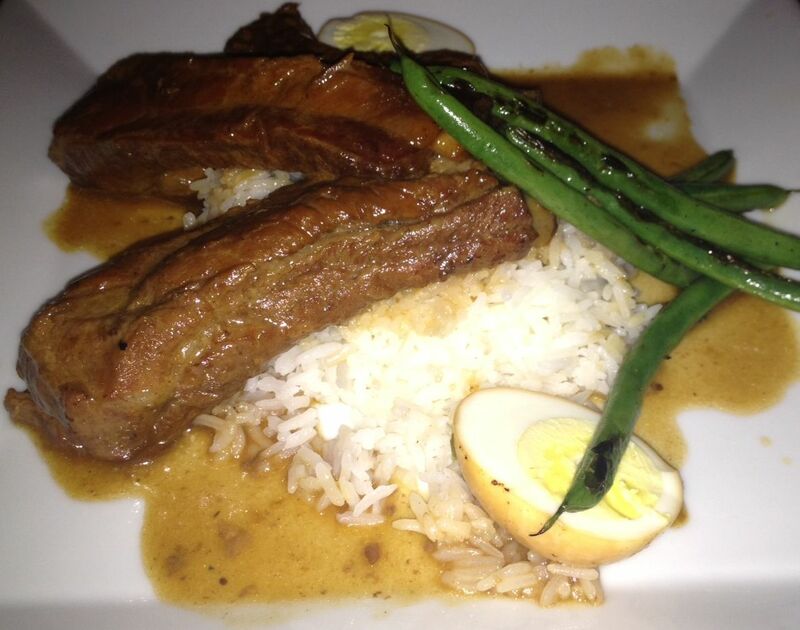 The ribs were accompanied by a boiled egg, green beans and jasmine rice. I enjoyed every element of this comforting sweet and savory dish. Just when we thought we couldn&apos;t eat anymore, Van told us we had to order dessert. We tried the trio plate, which included apricot-tamarind cobbler, coconut custard crisp and mango sorbet. Each element of the dish brought a unique flavor profile and tasted amazing when separate or combined. We also devoured the tempura bananas with vanilla ice cream and mint caramel sauce. The warm, crunchy bananas paired perfectly with the cool ice cream and refreshing mint caramel sauce. I&apos;m excited for Bida Manda to open its doors on Wednesday to the public. Raleigh, prepare to be amazed! My first experience trying Laotian food was excellent and you better believe I&apos;ll be back soon. Van is anxious to share his parents&apos; recipes with Raleigh and he gladly welcomes you to try Bida Manda.